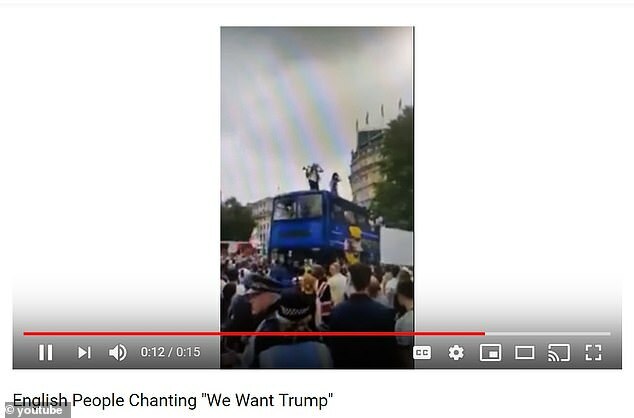 Donald Trump used his Twitter account on Tuesday to spread a famous right-wing radio host’s unproven claim that rioters in Paris have been heard shouting that they want the U.S. president to replace their own. Despite a blanket of media coverage of the riots, video has not emerged of participants shouting for the American president. 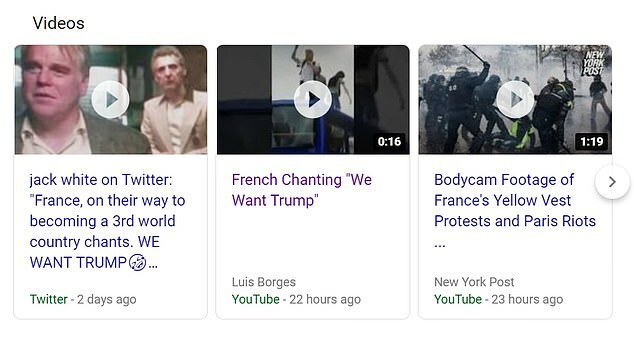 One YouTube ‘We want Trump!’ video that parent company Google’s search engine described as French on Monday was actually shot in Great Britain. The video’s title was changed on Tuesday. 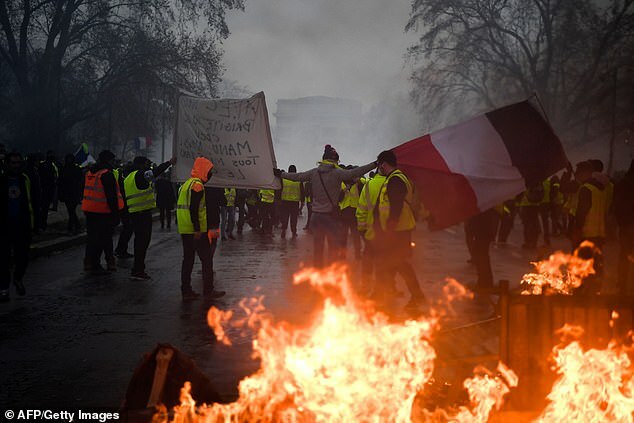 Macron made a U-turn hours earlier, caving to protests and suspending the fuel tax hikes that the French public opposed in huge numbers. 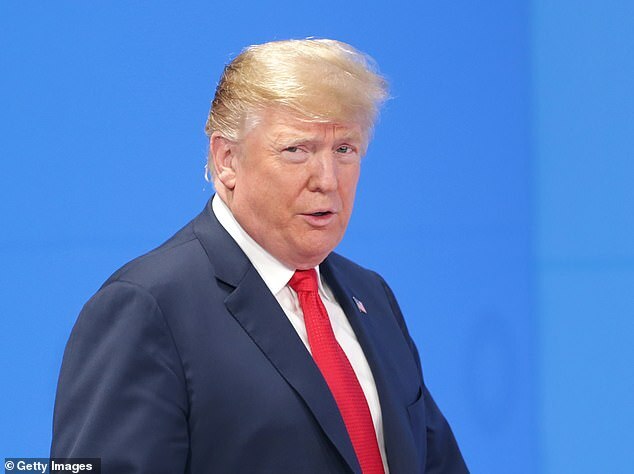 Trump applauded him in a set of tweets later on Tuesday that said he was glad that Macron and the protestors ‘have agreed with the conclusion I reached two years ago’ on the cost of protecting the climate. 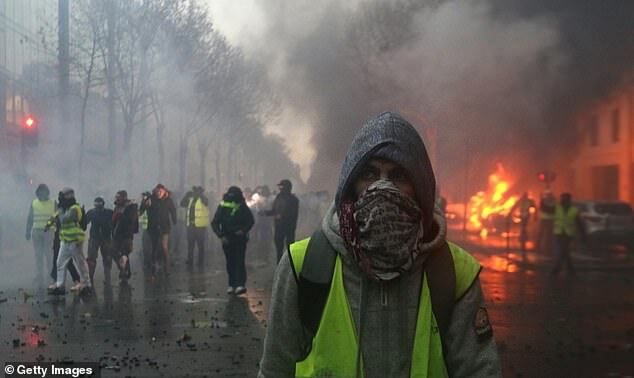 So-called ‘Yellow Vest’ protesters were mostly hard-leftists who objected to Macron, whom the French see as center-right, also proposing to increase regulated electricity and natural gas prices in addition to fuel at the pump. They take their name from the reflective high-visibility yellow vests that every French driver is expected to carry in the trunk of his or her car, in case of an emergency breakdown. 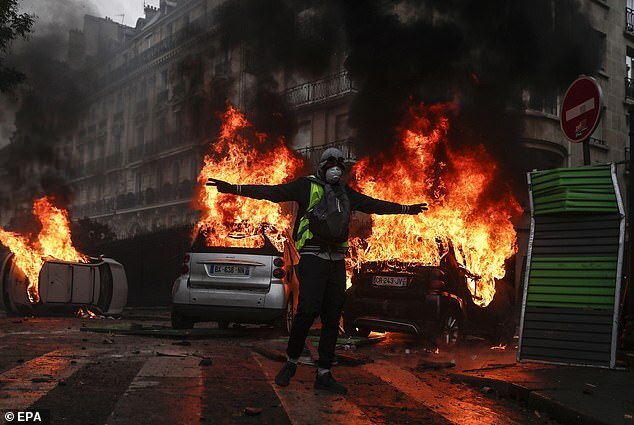 In a role-reversal from typical American protests, activists in Paris who have turned parts of the city into war zones during the past two weekends, the liberal protesters said their demonstrations will continue because they want tax reductions. 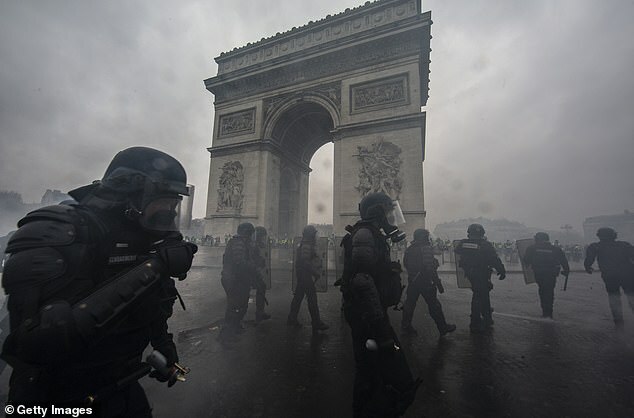 The protests spread on Tuesday as students set fire to a barricade in Bordeaux and roadside revolts springing up on highways in Aix-en-Provence and outside Paris. 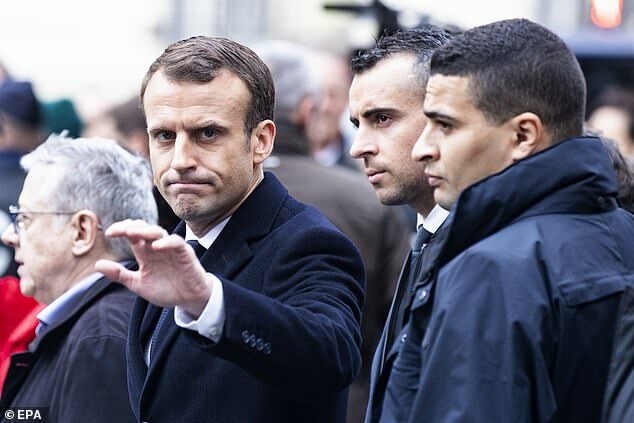 Macron’s change of heart is ‘a first step, but we don’t want crumbs,’ said Benjamin Cauchy, a spokesman for the movement. ‘Demonstrations will continue as we fight for further demands,’ Cauchy added. In announcing the decision, Prime Minister Edouard Philippe said anyone would have ‘to be deaf or blind’ not to see or hear the roiling anger on the streets over a policy that Macron has defended as critical to combating global warming. Trump’s passive-aggressive slap at Macron came just weeks after a war of words in Paris, where the French leader denounced the ‘selfishness of nations only looking after their own interests’ with nationalist policies like the ones his American counterpart has embraced. ‘Patriotism is the exact opposite of nationalism. Nationalism is a betrayal of patriotism by saying, “Our interests first, who cares about the others? 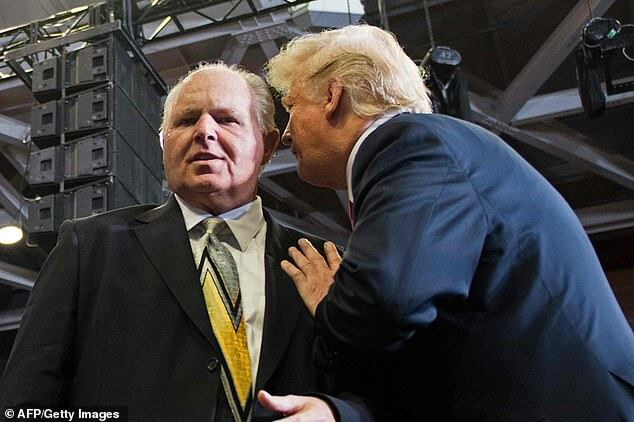 We erase what a nation holds dearest, what gives it life, what gives it grace and what is essential – its moral values,’ he said in a speech with Trump sitting in the front row.